Forget what you know of how the West was won. Forget the Indian Wars and Custer’s Last Stand. Instead, learn the truth of what happened when a young girl met a longrider she called the Green Man . 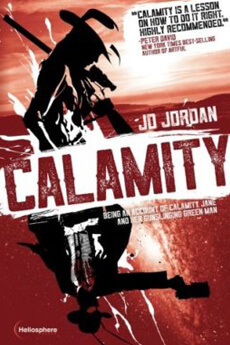 . .
JD Jordan is the author of the acclaimed scifi-western novel, Calamity: Being an Account of Calamity Jane and Her Gunslinging Green Man, and has been a Georgia Author of the Year nominee. His writing has been featured in Creative Loafing, The International Journal of the Book, Newsweek, and Paste Magazine. Since the publication of Calamity, JD has become a frequent figure on the literary and writers’ convention circuit, appearing at the AJC Decatur Literary Festival, the Broadleaf Writers Conference, Dahlonega Literary Festival, JordanCon, the Milton Literary Festival, as well as a variety of public readings, author events, and NaNoWriMo events. He has appeared as a guest on the Swiping Write podcast, is an active member of The Atlanta Writer’s Club and the founder of The ATL Screenwriter’s Cabal. After attending the University of St. Andrews, Scotland, and graduating from both Hampden-Sydney College, Virginia, and the University of Georgia with a bachelors in medieval history and a masters in US-Middle Eastern foreign policy history, respectively, JD resettled in Atlanta. 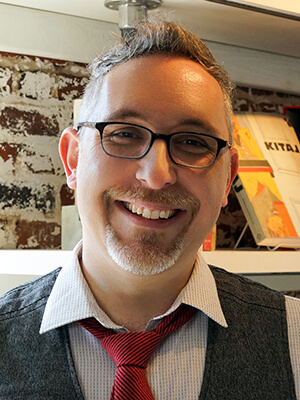 He taught design and history at the Atlanta College of Art, the University of Georgia, Creative Circus, and General Assembly while continuing to work as an award-winning design director and a creative consultant with some of the biggest agencies and brands in the Southeast. He is currently the design director and co-founder of the design and media agency, J+E Creative. A proud Atlantan, JD lives in the city with his wife, the actress Ellie Decker, and five awesome kids. He is currently working on a hard scifi novel and a follow-up to Calamity.